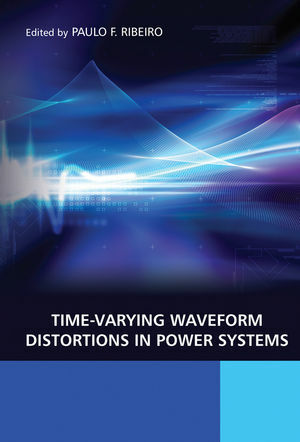 This reference book is unique in addressing time-varying waveform and harmonic distortions. It details many different approaches, pooling cutting edge material from university lecturers and practising power engineers to provide a wide spectrum of expertise. and further methods, such as independent component analysis, and fuzzy logic. Case studies, real world data and examples (including basic application examples and sample waves from industrial sites) supplement the theory and demonstrate the methods shown. With extensive appendices in addition, this book is of great value to power systems, utility, maintenance and instrumentation engineers. It is also a useful source of information for researchers and consultants, university professors and graduate students in power systems and power quality areas. Professor Ribeiro is professor of Engineering at Calvin College, Michigan. He has been involved with the application of advanced signal processing, applied to power quality and power systems in general, for the past fifteen years. For the past six years he has chaired the IEEE Task Force on Probabilistic Aspects of Harmonics. In 1994 he proposed the use of wallets to power quality applications; this has been followed by many people and has generated much research, several Masters and a PhD Thesis. Dr. Ribeiro is active in the IEEE, CIGRE and IEC working groups on power quality, and is a Registered Professional Engineer in the State of Iowa.